At AVMC we are proud to offer laser therapy. We are proactive with pain management and treat every patient post-surgically with a therapy laser to speed healing and recovery. Laser therapy also has many other benefits. 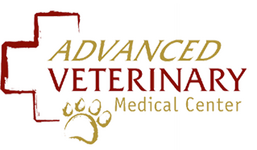 The benefits of veterinary laser therapy are relatively new in the veterinary industry. Despite this, veterinarians are quick to adopt the technology as they see a marked improvement in their patient’s quality of life and most notably in the reduction of pain and swelling and the increase in mobility. Call Us Today for more information on how Laser Therapy can help your pet!